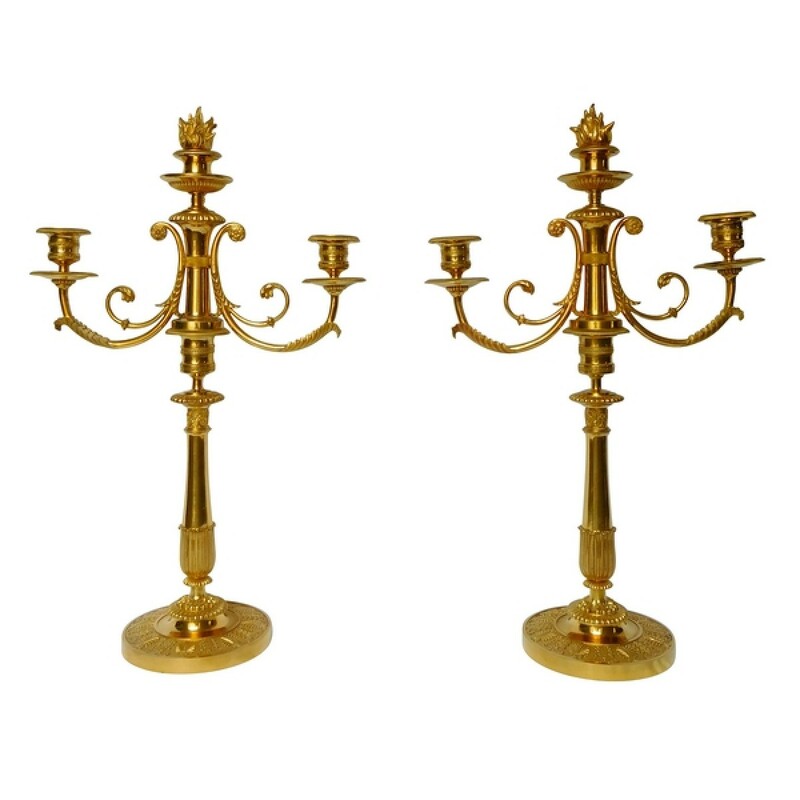 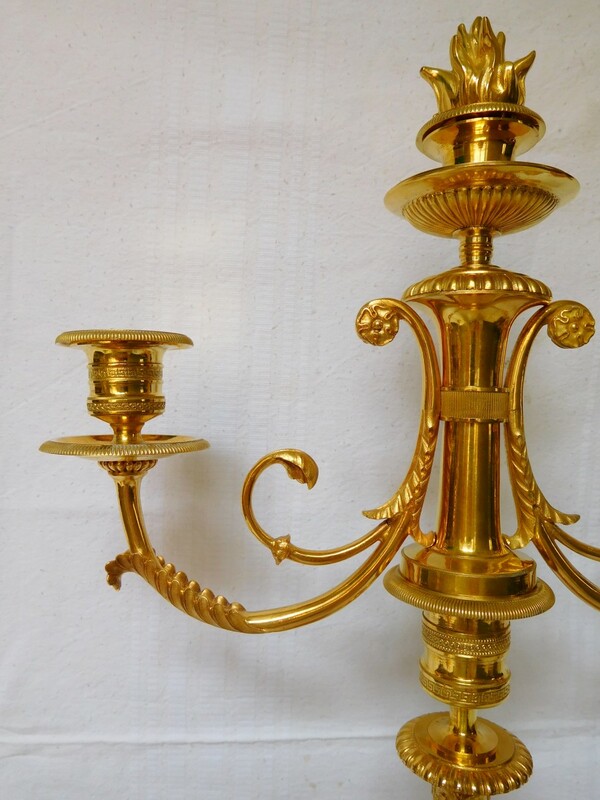 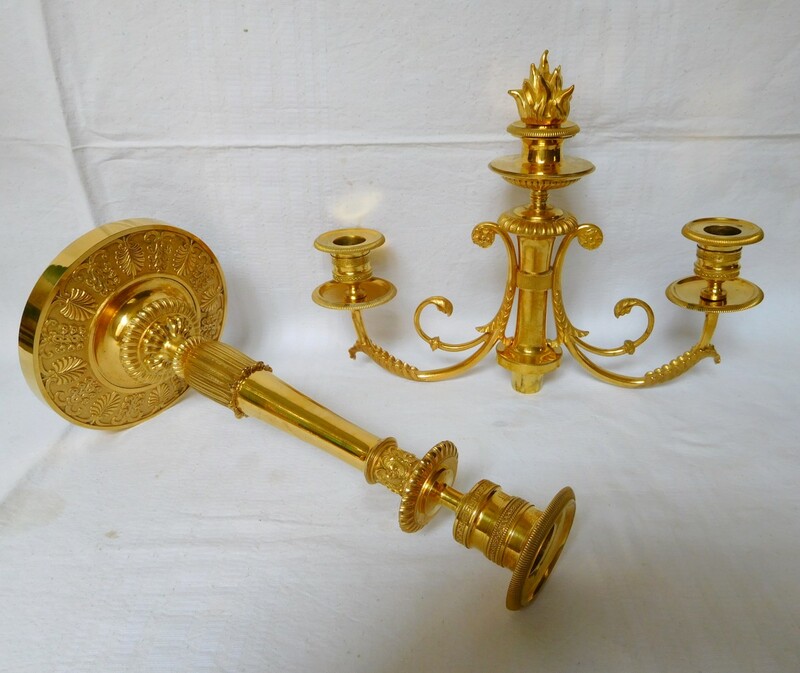 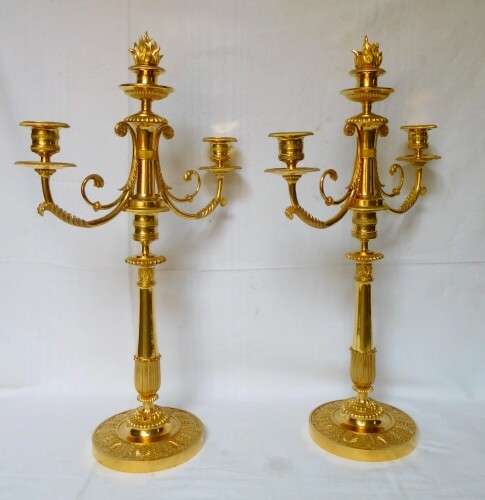 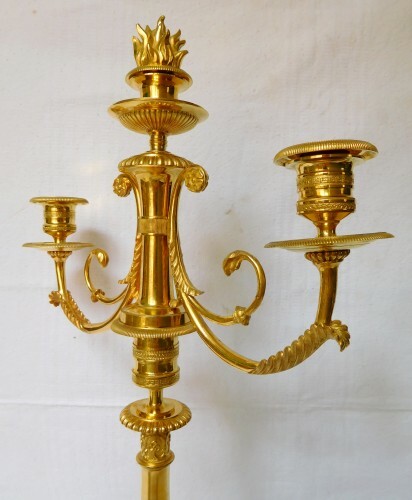 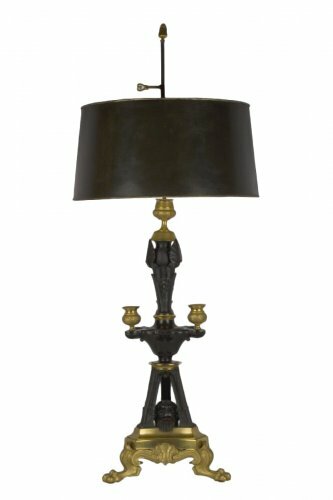 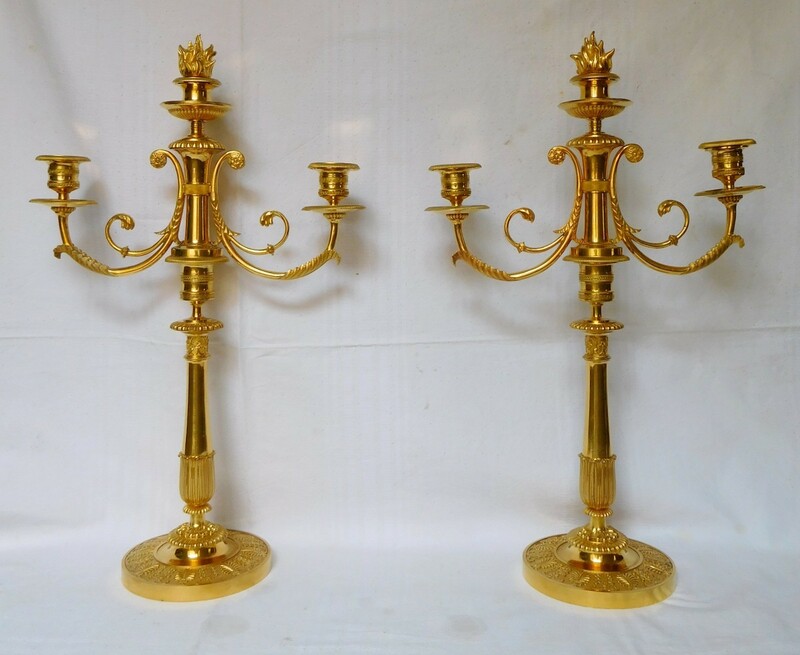 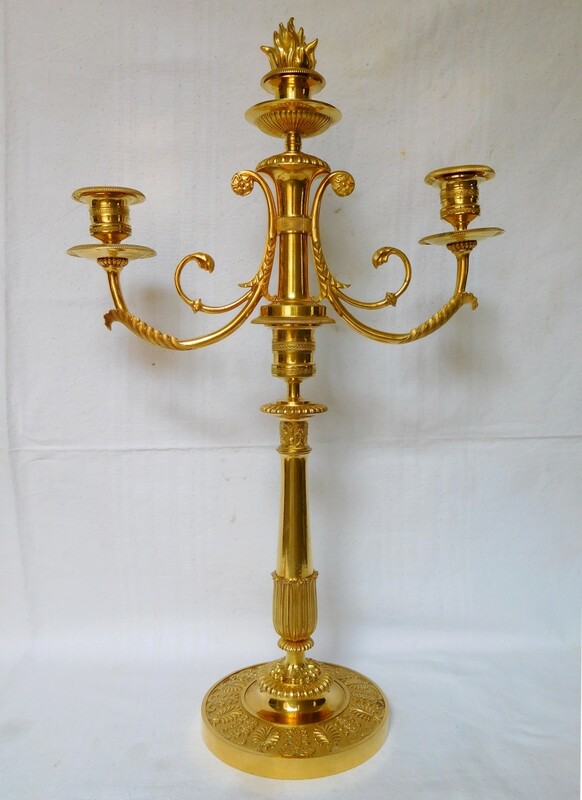 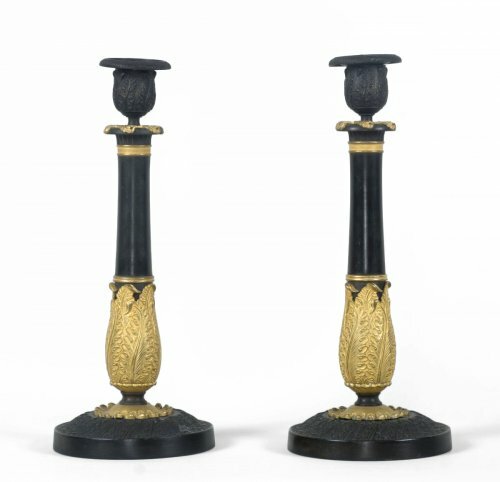 Pair of Empire candelabras, French Restoration period (early 19t century circa 1820). 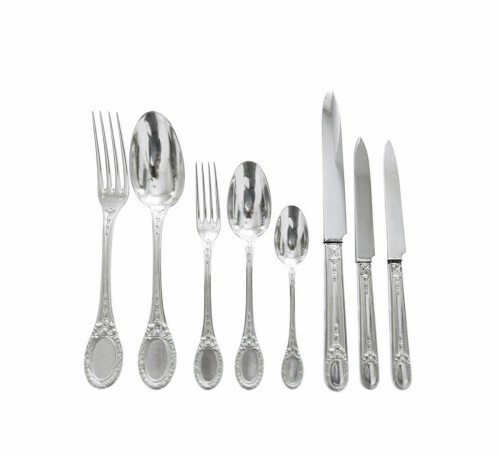 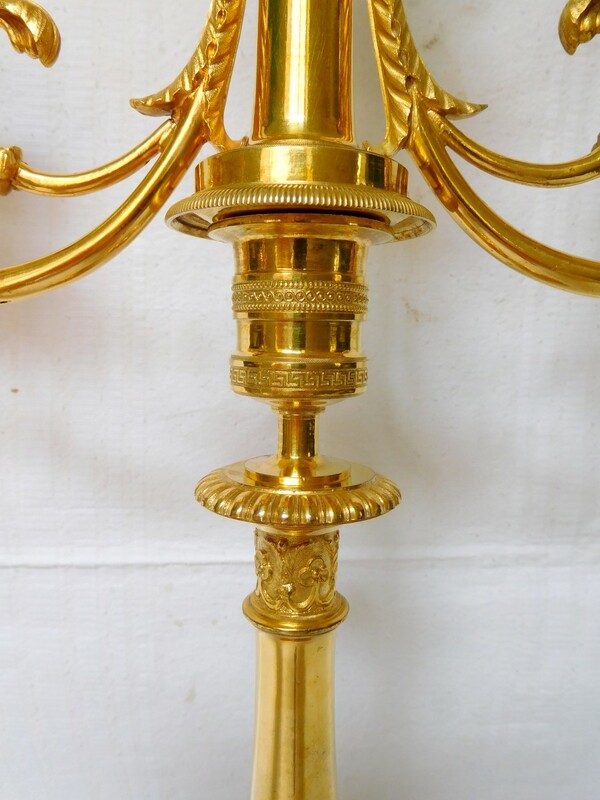 This pattern was created in 1807-1808 ; our candelabras are a later production by Claude Galle or one of his successors. 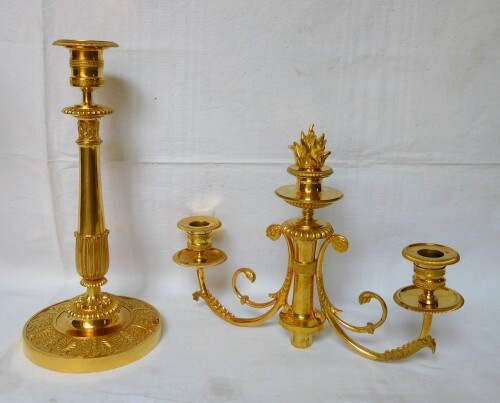 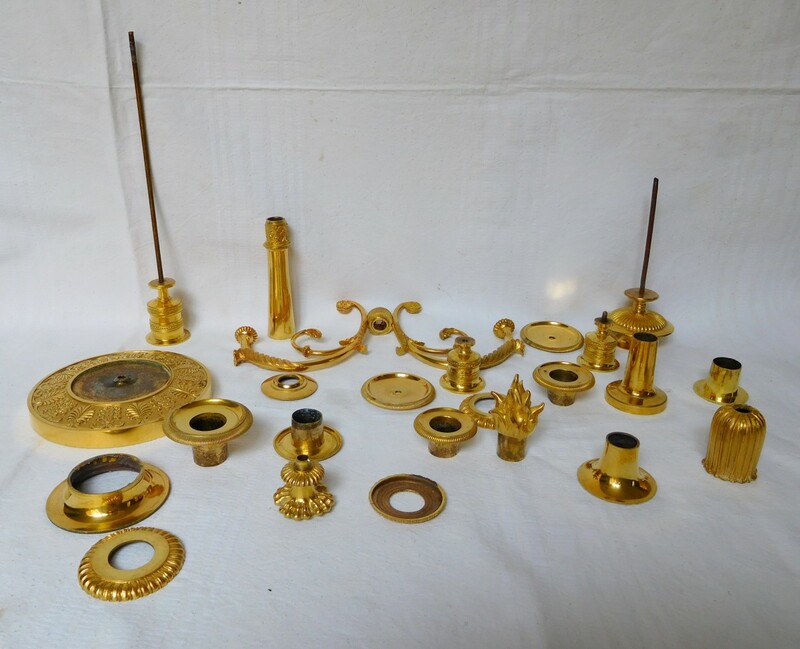 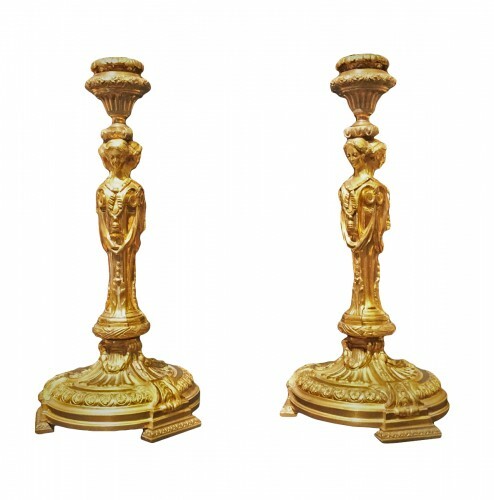 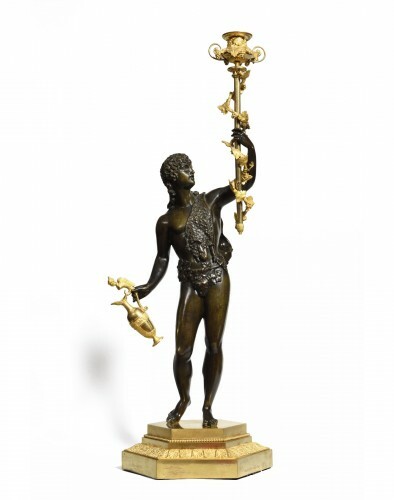 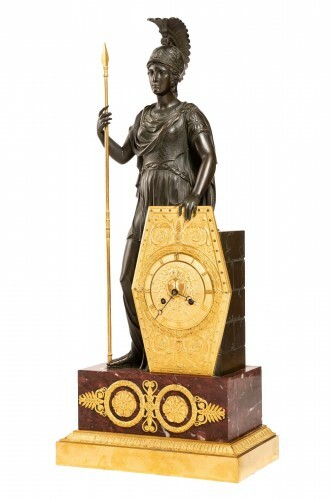 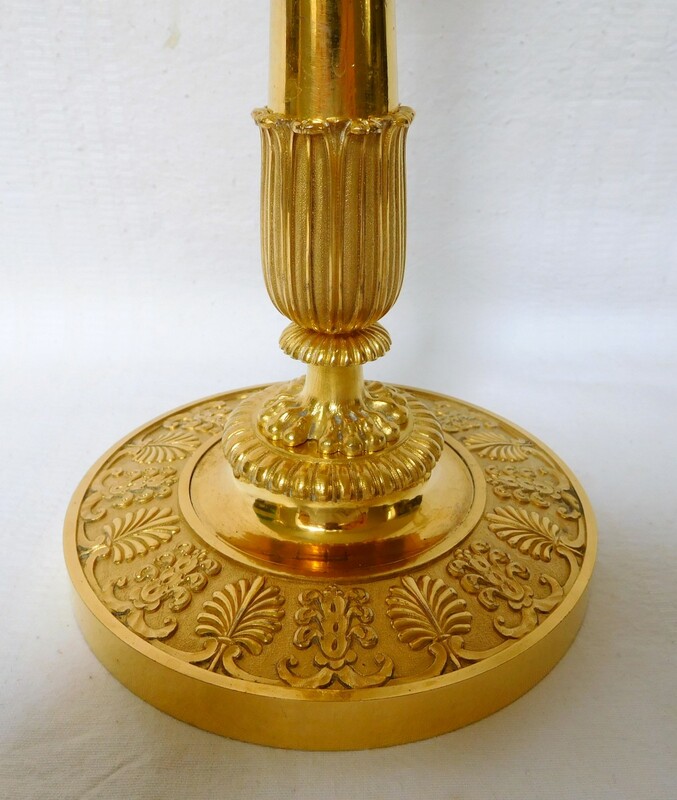 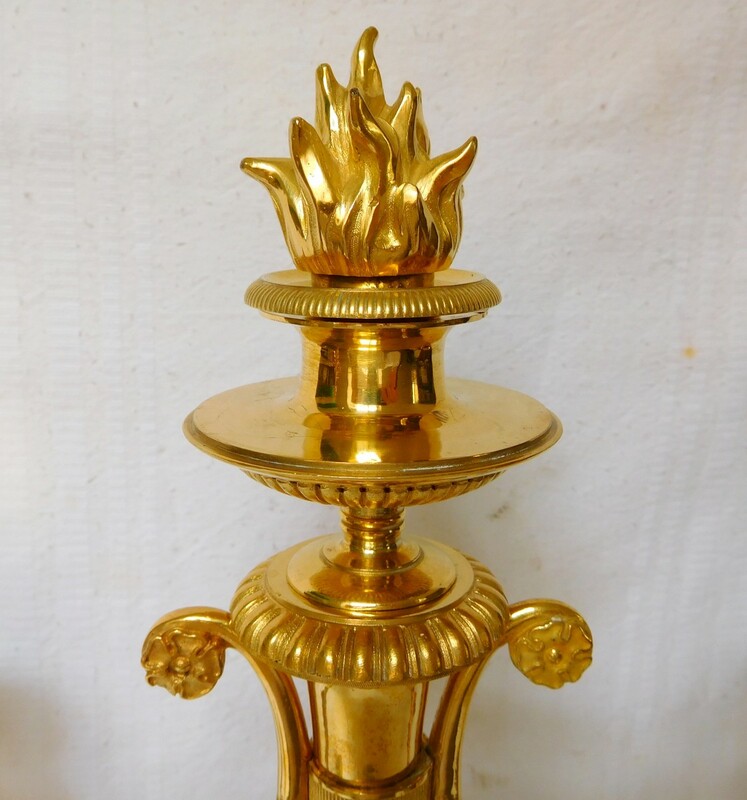 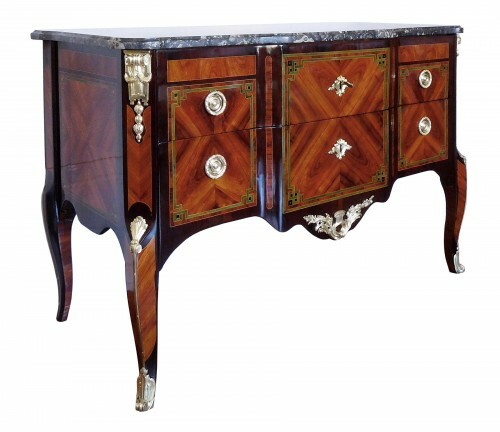 Top quality level production : finely chiseled, 26 independant pieces, matt and shiny finish ormolu (mercury gilt bronze). 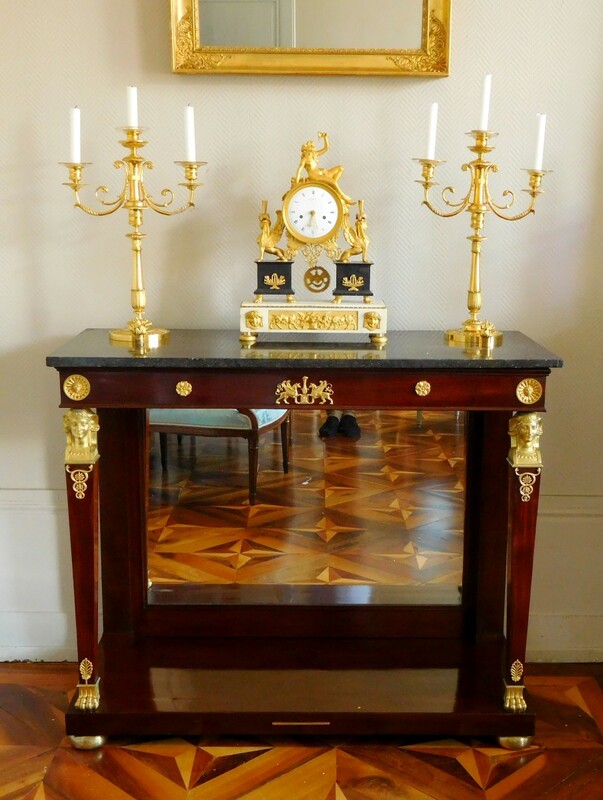 In excellent condition, complete, gilt remarkably fresh.